In 8 weeks from now you could be confidently pursuing your dreams, free from the mean voice of self-doubt & falling in love with who you are. This transformational online course is available worldwide. 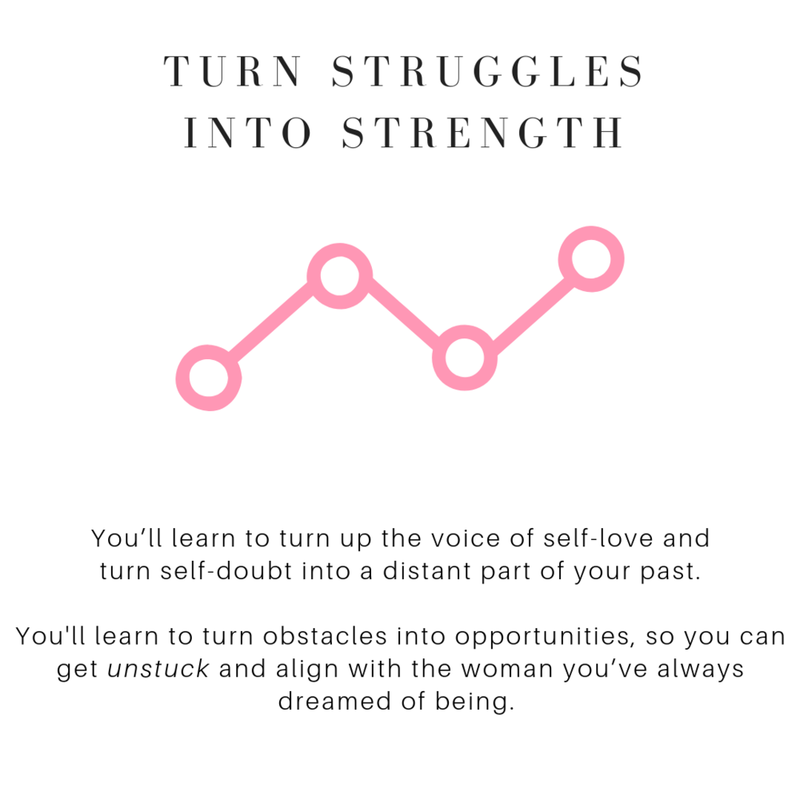 It’s open to every woman from all walks of life – whether you’re dipping your toe into the world of personal growth or you’re a seasoned self-help junkie that’s tried every course and seminar there is. Leave your details here to be notified when the academy is re-launching the next time around! Imagine having total trust in yourself. Trust that you could overcome any challenge. TrusT IN your ability to transform your life, in a way that lasts. Trust THAT YOUR big dreams ARE ON THEIR WAY TO YOU. …And becoming unstoppable in making it ALL happen. What is Make Your Magic all about? Make Your Magic is a 8-week journey that will change the way you see yourself forever, showing you step by step how to elevate your inner confidence and tap into your true potential. 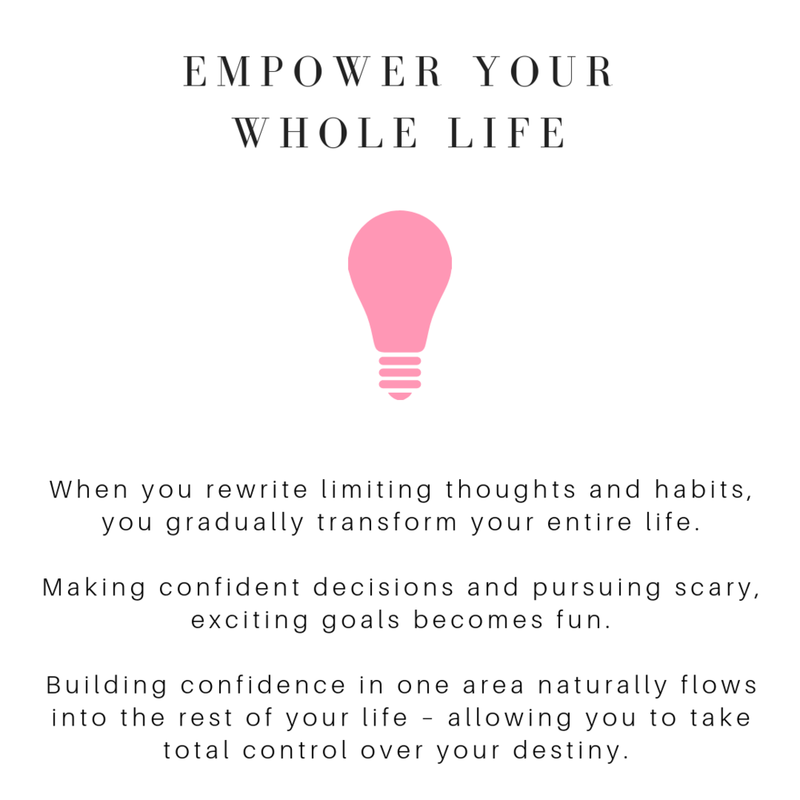 Using a specific blueprint I’ve developed, you’ll break up with your mean inner critic and start taking aligned actions towards a bolder, courageous and happier YOU. The choice is yours, lovely. you could look back in a year and remember this moment. The moment you chose to transform your world forever. I joined the Make Your Magic Academy at a time when I was feeling very lost, low on confidence and my self-esteem had all but disappeared. I was a bit nervous about starting the academy but I’m thankful I decided to take the leap and go for it! Amy was so fantastically supportive and motivating throughout, a true guide and mentor which allowed us to find our own way through the program. I found modules easy to follow, the assignments very engaging and the extra resources such as the playlist and the recipes are an amazing extra touch! One of highlights for me was connecting with the other women from all over the world in the coaching calls. People are really raw, honest and open in such a supportive and non-judgemental environment. It makes you feel less alone to know others are going through similar issues to you. Anytime you're feeling lost and don't know what to do you can feel safe in the knowledge that you can reach out to Amy or the Facebook group for support. Personally I had a few 'wobbles' and felt so much better knowing I could reach out and get love and support. Amy was so patient, thorough and compassionate. Her guidance really helped me to work through the issues I was experiencing and put into place some practical ways to manage them. The academy arms you with all the tools you wish were taught at a younger age, how to love yourself, how to develop self awareness and self acceptance, how to identify and live by values that are true to you, how to listen to your instincts and see ‘failures’ as opportunities and much more. I have learnt tools and skills which have become truly invaluable. I feel something has really shifted for me. I have my ‘power’ back. I am astounded by how much this course has helped me move my life along. I have just finished the 8-week academy with Amy and I cannot thank her enough! Before I started this journey, I had hit my rock bottom. I felt totally helpless and the people closest to me didn’t know how to help. Enter my hero, Amy. When I started this course I had the broad problem of “anxiety”. I was having a few panic attacks, uncontrollable bursts of rage, and was finding myself going through a very new emotion for me, jealously. Up until 2016 I never thought of myself as a jealous person, so this emotion, which turned into very dark thinking, scared me a little bit. Working through the weeks’ modules I found what was truly going on. I was able to slowly break down barriers and deal with some issues I never dealt with properly. I kept working away at it, week by week, slowly changing my mindset to a positive and happier one. I started to share with people what I was grateful for, and attracted healthier relationships with people around me. As a coach, Amy was supportive 100% of the way. When we were quiet, she encouraged us to speak up. When I was embarrassed to share what was going on, she opened herself up, providing us with examples of her own stories to encourage us to continue with our own journeys. I am so grateful for this academy, because not only did it deal with what I thought I needed help with, but it dealt with issues I had not yet recognised, and opened my mind up to a whole new way of thinking. If you are waiting for a sign, or the next break in your career to get started, don’t. Do it now! I started this course in the busiest time of my life. I was studying at University, I was on a five week placement, and worked both days every weekend. This is what kept me inspired and able to finish all those challenges. 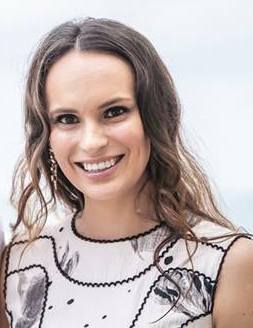 If you are reading this testimonial, then take this as your sign… I promise you, this is your time and Amy will be the most amazing coach you could ever hope for. The Make Your Magic Academy was such an amazing, inspiring experience and I’m so grateful to have had the opportunity to be coached by Amy alongside so many lovely ladies. Amy is a such a supportive, authentic and giving coach who really makes you feel so comfortable sharing your experiences in the weekly coaching calls and often shared her own insights. As a result, the weekly coaching calls were a safe space where we shared their vulnerabilities and our wins. I left the weekly calls feeling so inspired and supported and looked forward to them every week. Even if you had not managed to complete all of the assignments they were very beneficial and enjoyable. There was no pressure to share, only support and encouragement however your week went. When I joined I was in a really challenging point in my life, where I lacked confidence in my work, my relationships and about who I was. I have had therapy for over 10 years and have read many self-help books and blogs and I can whole heartedly say that I’ve turned a corner through the support of Amy’s Academy. Amy’s unique focus on honouring your own values and the extent of support through the structure of the programme and the weekly calls sets it apart. I felt like an imposter at work and with the support of Amy and the girls I built the confidence to ask my boss to employ me and to give me a pay rise. Before beginning the programme I could not imagine being assertive and confident enough to do this. Amy was also very attentive and took a lot of care in providing one to one support through direct message throughout the programme. The modules are fantastic and make you feel very guided working through your own stories, blind spots and towards goals. There is also a very comprehensive Resources Vault, including morning and evening routines, recipes and book and podcast recommendations. The Facebook group was a really wonderful way to discuss the Fun Sheets and Assignments as well as sharing experiences, which made you really feel part of a lovely community of women. So much so I would love to meet the women I met online through the academy in person. I got so much out of the Academy that I want to do it all over again. The course starts on February 11th and runs LIVE for 8 weeks. You will head into 2019 feeling absolutely AMAZING and not having to worry about guilt-tripping over those New Year Resolutions that you never seem to keep - you’ll ALREADY be in control of your new goals, mindset and habits. what does the course include every week? is it a live course or self-paced? If you take the course live, you do get 8 x Weekly Live Group Coaching Calls and connect in real-time with your new soul friends! It can also be a completely self-paced online course too - you decide when you start and when you finish. We record the group calls so you can watch them back at a time that works for you. You can also re-take the course again and again and participate in the live rounds several times a year - you are a lifetime member once you sign up! You have lifetime access, can download all the resources in the academy and can return to your Modules anytime. After enrolling, you have unlimited access to this course for as long as you like - across any and all devices you own. You’ll also be a lifetime member of our private Facebook community. All the resources are downloadable, so they are yours forever. I would never want you to be unhappy. If you are unsatisfied with your purchase, contact us within the first 30 days of the course start date and I will offer a full refund.